Raymond Gurême was born in 1925 in a Manouches family, the name used for Sinti living in France. He spent his entire childhood in his father’s small circus, travelling mostly in the Western and Central part of France. From a very young age on, Gurême learned to train animals, juggling and acrobatic tricks. Small travelling circuses run by Manouches families had a long tradition in France and were an integral part of the cultural life of the countryside. 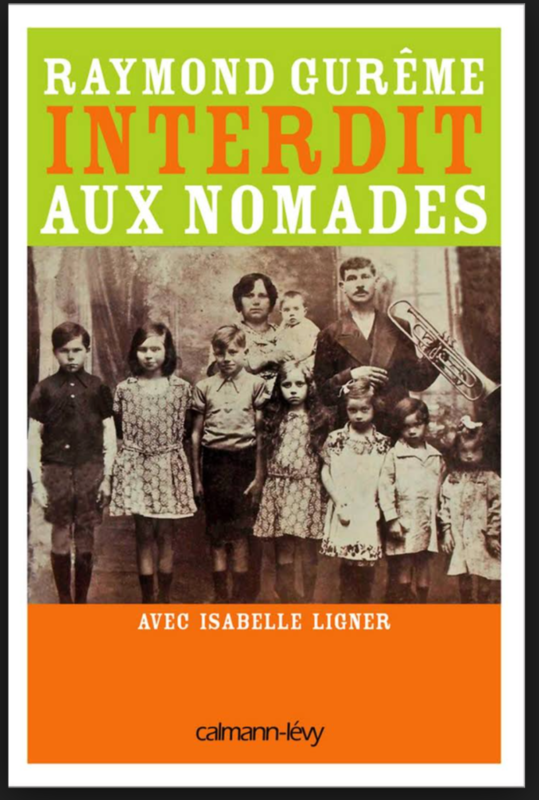 In the 1930s, the French government kept restricting the mobility of these so called nomads. In October 1940, Gurême and his entire family were arrested by French gendarmerie. This was imposed to all nomads in occupied France, according to forced settlement regulation orders of Nazi German authorities. One month later, Gurême and his family were transferred to the internment camp of Linas-Montlhéry, where they faced food shortage and had to live in dire hygienic conditions. In summer 1941, Gurême escaped to Britany, where he worked undetected on several farms. Whenever Gurême could, he returned to Linas to smuggle food into the camp. In April 1942, the camp was dismantled and the inmates were transferred to Montreuil-Bellay, which was the biggest camp for nomads in occupied France. Also in Montreuil-Bellay, Gurême succeeded in providing his relatives with contraband goods. In August 1943, he was caught by the police and deported to Heddernheim in Hessen, to undergo forced labour. In June 1944, Gurême escaped from Germany to France, joined the French resistance movement and took part in the liberation of Paris. After the war, Gurême was searching for his relatives, but only found them in 1950. Up until this day, he has been speaking up, emphasizing that the history of the camp and the fate of the Manouches will be not forgotten. Sources: Gurême, Raymond; Ligner, Isabelle: Interdit aux nomades. Paris 2011; Leroy, Théophile: Des “nomades” derrière les barbelés. Étude du camp d’internement de Linas-Montlhéry en France occupée (novembre 1940-avril 1942). Paris 2016; Sigot, Jacques: Un camp pour les Tsiganes et les autres: Montreuil-Bellay, 1940-45. Bordeaux 1983; Filhol, Emmanuel; Hubert, Marie-Christine: Les Tsiganes en France. Un sort à part, 1939-1946. Paris 2009.